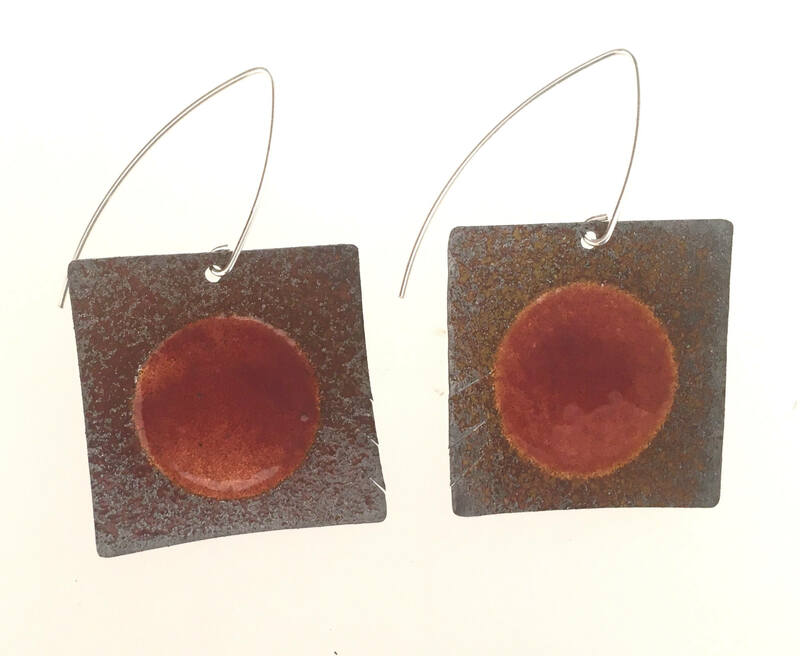 Industrial design EnamelArt earrings feature rustic orange vitreous enamel on textured & oxidized Sterling Silver. Earrings measure approx. 1 1/4” in diameter. Sterling Silver earwires.